Hotel Chain Oberteich Get your own key! We offer to experience the relaxing atmosphere of our fitness center with the relax zone. The Oberteich Lux Hotel guests are offered the vast aquazone for free of charge including the swimming-pool and Jacuzzi equipment, cardio hall, water jets, Turkish bath and Finnish sauna. 50% discount for fitness center services is offered for the Oberteich Hotel guests. For more information on prices, description and services of the Oberteich Fitness Club see on pages of our official website. Please find below the information on the Oberteich Hotel Chain of two hotels in Kaliningrad located in the historical part of the city near the Verkhneye Lake. You will definitely appreciate our hotel chain if you are the connoisseur of aristocraticdelicacy that goes well with wildlife and if you esteem the high class leisure time. Today, lots of hotels open their door to guests in Kaliningrad though they cannot hold the price-to-quality ratio. As far as we are concerned, we offer cozy apartments and enjoyable services for fair prices in addition to extra services. Oberteich is the hotel in Kaliningrad that holds prices that best go with pleasant services. The Baltic Sea is known for its changeable climatic conditions and thus, a hotel with a swimming pool in Kaliningrad is found to be the time-sensitive service. We are pleased to offer a swimming pool, a fitness center and a relax zone for the whole year round. Apart from it, there is a conference hall at the Oberteich Lux Hotel properly equipped to hold events accommodating up to 50 persons. So, if you seek for hotels in Kaliningrad with a swimming pool and a conference hall, the Oberteich Lux is a choice. The cost of hotel accommodation in Kaliningrad depends on the location, star-rating and services added to the price. We come up with prudent prices – from 3300 rubles a day! 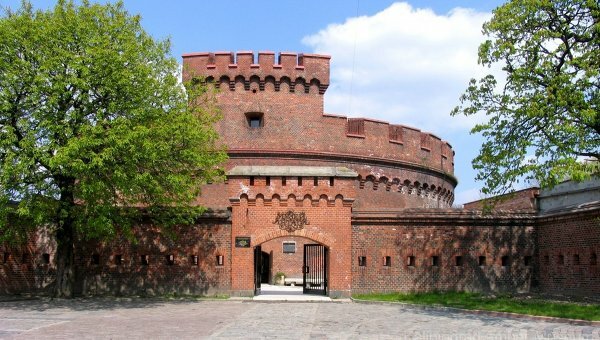 Everyone may enjoy the rich history and architecture of Kaliningrad, the westernmost region in Russia, during exciting tours and short sea trips. 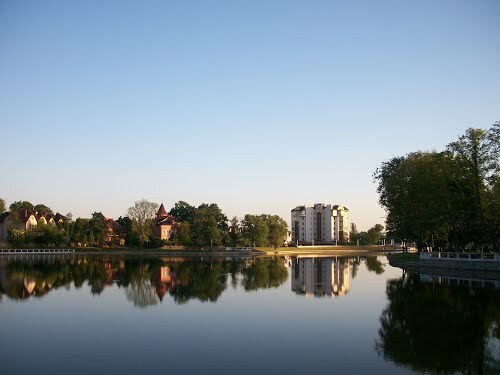 The Oberteich Hotel in the center of Kaliningrad is located on shore of the Verkhneye Lake, one of the most splendid places in the urban water area. It offersall the required infrastructure for healthy living and outside activities. Bikeways are installed along the embankment, a variety of coffee shops and recreation areas are open in summer time, the Yunost Amusement Park is nearby the hotel. As we mentioned earlier, our hotel is located in the central Kaliningrad offering a range of advantages: you can easily get anywhere in the city or to the sea by private, rental or public transport. If you are about to visit Kaliningrad, the hotel choice and booking is one priority targets to reach. You can book apartments in the Oberteich hotel chain in any convenient way: clicking the button «Book» on our official website, by calling us, making a query on the website or by e-mailing us. Welcome to the Oberteich Hotel Chain in Kaliningrad! Copying of materials is allowed only with the consent of the administration and only with the active link to the source!